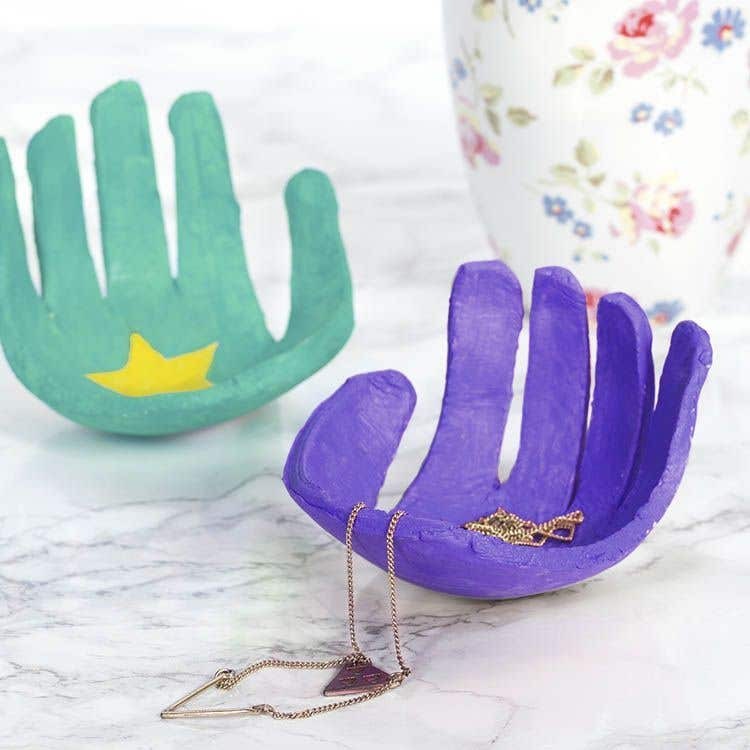 Make your own clay bowl shaped from your very own handprint. These bowls are perfect for keeping jewellery and other treasures in. Take approximately half of a pack of air dry clay and roll it flat until it is about half a centimetre thick. Place your hand on top of the clay and draw around it lightly with a pencil, slightly denting the clay. 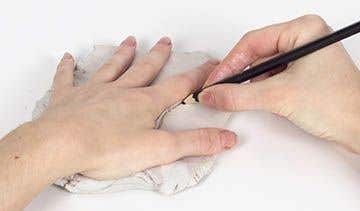 Take your hand away and use a knife to carefully cut around the hand shape that you have just drawn. Get a small bowl and lay the clay hand inside, then leave to dry. This will help the hand to dry shaped like a bowl. 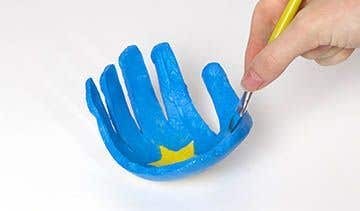 Paint a yellow star in the centre of the bowl, then cover the rest of the clay hand with blue paint. Leave the clay to dry overnight to ensure it dries properly. Young children should get an adult to cut around the hand shape with a knife.